Its unnecessary for you to have a hair treatment in salon when you hair is dry,rough and dull on account of you can do a hair spa at home with natural ingredients.the price of the spa is affordable and it also contain any chemicals that harm for your hair.so if you want a healthy,shiny hair by doing this hair spa,you should follow as below. 1.massage with a hot oil first. 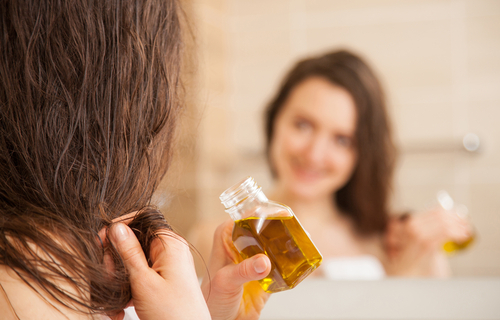 The fist step of hair spa is that massage with a hot oil.there are many kinds of oil that you can choose scuh as coconut,almond or olive oil.the benefit of oil may keep the end of you hair from splitting.heat the oil and pour the lukwarm oil to your hair.its very enjoyable for you to massage your scalp about 25 minutes with oil. Take in some steam after massaging your scalp.prepar a a basin of water and put a towel in it.be sure that the towel has absorbed the hot water and then squeeze it untill all the water is out.wrap your head with towel for 15-20 minutes.the steam can promote the oil penetrate into the scalp so that provide the nourishment to the hair. 3.shampoo and condition your hair. Wash your hair with mild shampoo and ensure all the oil is washed away thoroughly.after finshing this step,apply less conditioner for your hair about 2-3 minutes and use the lukewarm water to wash it away. 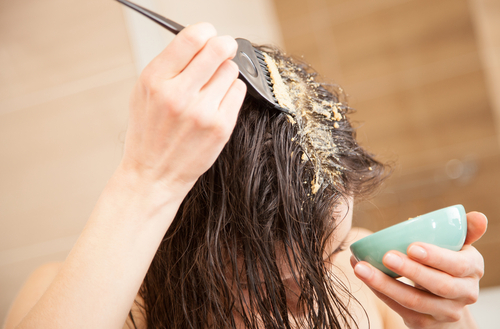 Its easy for you to make a hair mask so you dont be worried about this.banana and honey hair mask are high recommended because the banans are rich in vitamins A,E,C,and postassium,honey is good for nourusg your hair and have a glossy sheen. step 1.cut the two bananas and put the pieces into a blender. step 2.put the pulp in to a glass bowl with spoon. step 3.add a tablespoon of honey and coconut oil. step 4.apply it and mix with your hair evenly. step 5.leave the mask to dry for 15 minutes and wash it away with cold water. The hair spa is very useful to improve your hair texture if you do it once a week.and you can own a glossy,healthy and manageable hair that you want.